Not in the BMW 2002tii. This car is plugged into the tarmac and every pebble is felt through the giant unassisted steering wheel, pedals and shift knob. The seating position and performance sensations are far more modern than the VIN number stamp would have you believe. 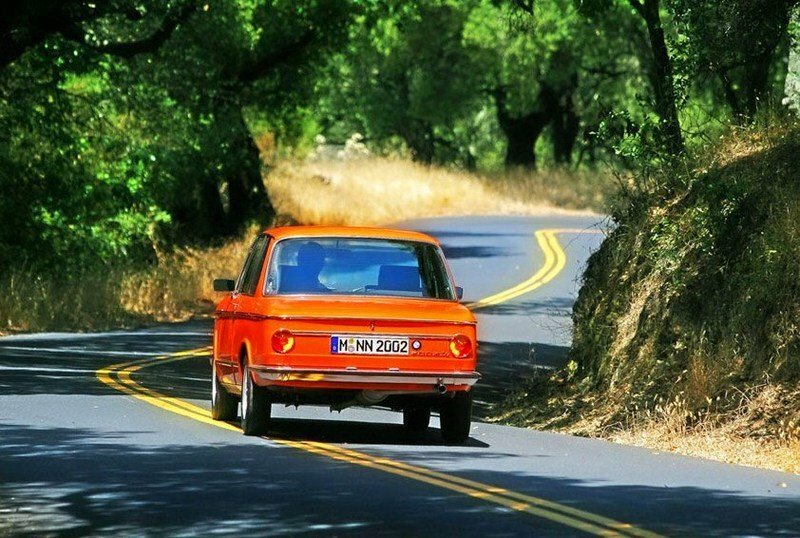 It was this light and nimble attitude that brought BMW back from the brink of bankruptcy in the late 1960s, when Germany was reeling from a prolonged recession even as the rest of the world danced in tie-dye shirts and went to Woodstock. BMW had big problems at the time, most critically being a lack of cash to invest in the business. Their primary 1500 sedan was well-regarded in Germany as a more agile and cheaper Mercedes alternative, but the small sedan was a fish out of water on U.S. roads clogged with millions of Ford Mustangs. Sedans and BMW’s U.S. sales were out of gas as two-door coupes became all the rage. As with some other TopSpeed Hall of Fame models like the NART Ferrari Spider from last weekend, the beginnings of the BMW 2002 legend start with a strong-arm tactic from a U.S. importer. 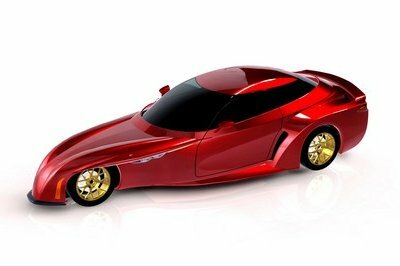 Against BMW’s protests, he cajoled them into adding their largest engine under the 1500’s hood and chopping the rear doors. Instant sports coupe and American success meant nothing less than salvation for this historic engine manufacturer. And for a clue about the origin of the 4 Series coupe names, a quick look at the (odd) 1500 sedan becoming the (even) 2002 two-door explains BMW’s logic. Click past the jump for the full review of the 1972 - 1974 BMW 2002tii, with special highlights on this sport model’s extra performance and style. The most common description for the 2002tii is of its bathtub sill line - a reference to the chrome-trimmed door crease that also served as the shut line of the hood and trunk. From below the tub’s ’water line,’ the 2002tii has almost unadorned sheet metal panels only marked out by slight fender ridges and a lower sill ridge. The look certainly has a charm of its own and was very unique versus the ubiquitous VW Beetle and the plethora of American choices. Recreated somewhat in the current 1 Series, the 2002’s nose was also very unique. Unapologetically vertical, the bluff nose is marked out by single round lamps in the corner of a horizontal black grille panel below the hood’s leading edge. Very vertical and narrow kidney grilles reference the better times in BMW history, such as the pre-war 328 Cabriolet and others. The dark grille playfully mocks the menacing Camaro and Mustang designs, but did so on such an upright and compact car that is was enjoyable. The plain and functional roof pillars were barely sportier for this new two-door version, but the looks were deceiving. This 2002 was the Lotus of sports coupes: carrying huge corner speed to make up for any slowness on the straights. The interior seats four in a layout that is instantly recognizable for any 3 Series owners out there. It is completely finished in quality plastic trims around all the areas that are usually painted metal on classic cars, like the door panels and pillars. This luxury appearance is reinforced by the full center console and attractive dashboard design. 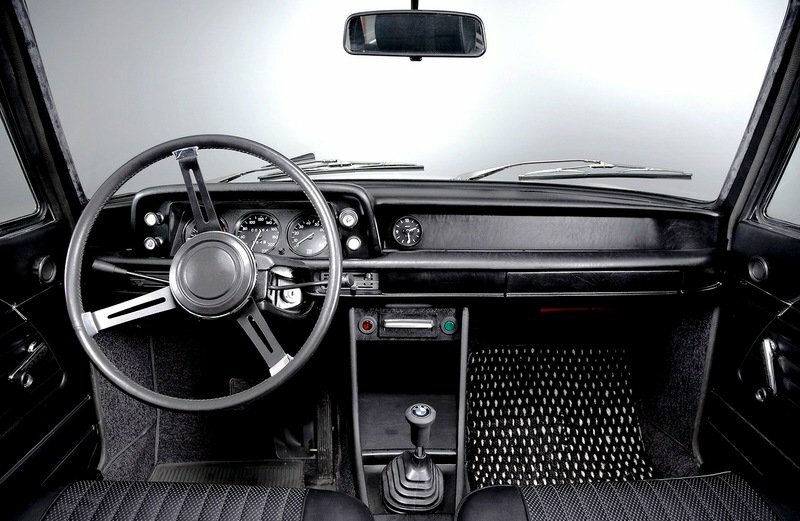 Taken for granted today, these interior comforts were very rare at the time. The tii model gained the large central clock, and all 2002s have a comfortable four-seat configuration with unusually-sporty bucket seats all around. Visibility and ventilation were excellent with the tilt pane quarter windows and optional manual sunroof, while the engine is a thrummy rumbler whose energy you can feel through the wheel, pedals and shifter. Evidence of how humble BMW was during this time? The steering wheel center boss does without a BMW badge or even any decoration. A rubber-neck shifter boot was functional and required to keep debris out of the exposed linkage below. 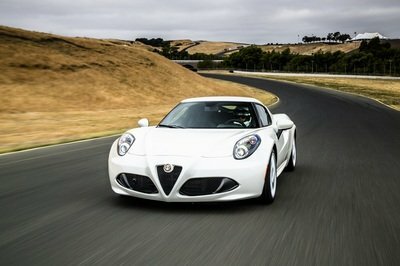 The sensation of speed is enhanced by the extreme visibility and almost zero door sealing and insulation - as with many other cars of this era as well. There is a sense of planted handling feel despite the body being quite un-stiff and quivering over any large impacts. 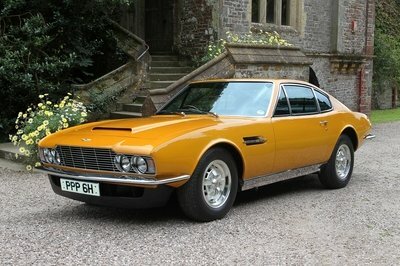 Performance seems dismal until you consider that most pony cars were actually awful to drive and very slow. A four-speed manual was innovative at the time, as was the larger-capacity engine that was shoe-horned inside this small vehicle. A longitudinally-mounted four-cylinder, the engine is tiny under the hood and visibly quite low in the platform. 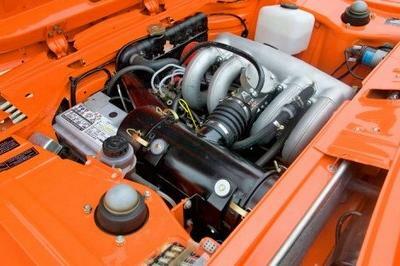 This 2.0-liter engine offered a dual carburetor for the 2002tii models, which were able to produce 130 horsepower and 130 pound-feet of torque. Sounds tiny, but actually is torque-rich and fun to flog. 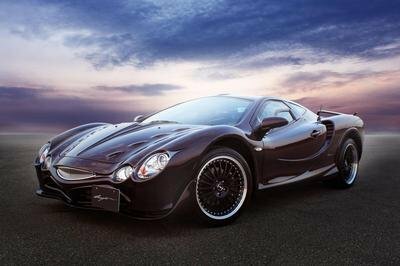 The car’s 2,200-pound total curb weight takes much of the credit for this impressive power-to-weight ratio. In defining the sports-sedan and coupe genre unknowingly, BMW was typically thorough with this performance coupe versus its humble sedan sibling. The additional stopping power was impressive, while the boxed rear suspension arms and larger ‘down pipe’ for the exhaust were also fun extras. The 2002tii’s powertrain might not be quick by today’s numbers, but still feels joyful and exciting all the way to its attainable 118 mph top speed. In an era when the highest-powered American car’s only had speedometers up to 85 mph - this BMW was very special. A large variety of American 2002tii’s are available in the classic car scene, with most being driven and well-loved examples that are not pristine beauties like the BMW Museum model in this photos. New taillights on the ’74 U.S. cars are the main difference over the earlier cars. Even so, the price range of $15,000 to $25,000 for a great 1974 2002tii makes this as appealing a sports-car alternative as it did when new. The European 2002 Turbo was not officially imported, but its 170 horsepower would be a treat in this lightweight classic. The 2002 arrived stateside in 1967 to instant success and rapid, and highly profitable, sales. U.S. dollars were better than gold in 1960s Germany, making these sales even more important. A performance "tii" variant in 1972 was the least they could do to thank their new-found American car enthusiast fan base. 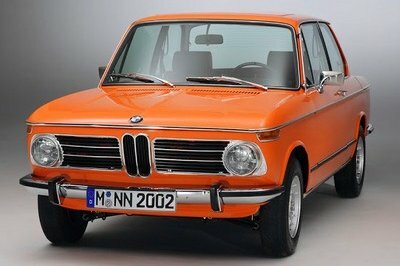 The popularity of the 2002tii also helped salvage the tatters of the existing BMW distribution network in America, which was close to abandoning the Roundel brand after a calamitous few years of no new models since the popular Isetta bubble car. The 2002’s fuel economy that nearly doubled most American metal was only a side bonus, All these merits helped the 2002tii appeal to both fashionable yuppies and dedicated sports car fans. At its core, the 2002tii is a scrappy little sports car that had the handling finesse of dedicated English roadsters but also a practical four-seat cabin and a big trunk. 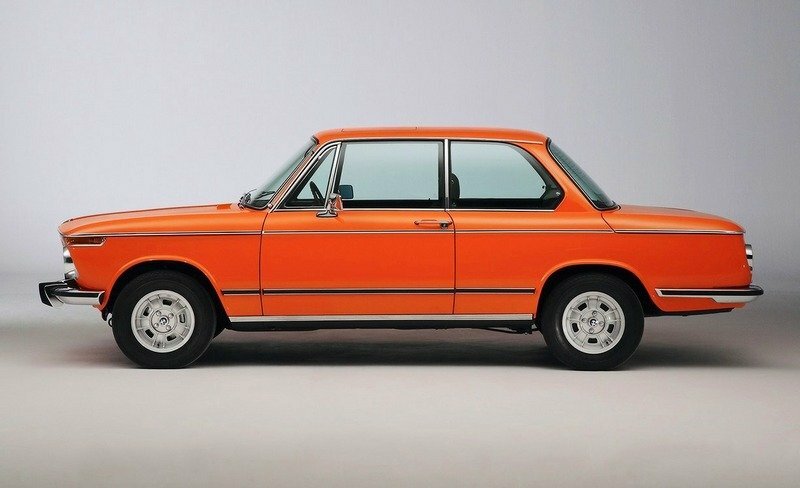 As a guide for BMW’s next generations, the 2002tii was an important lesson for BMW as it continues to bring sports-car performance into new segments like the X5. But the 2002tii is no ’67 Mustang in terms of road float: this car can handle!